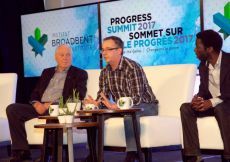 Ottawa – April 10, 2017 – UFCW Canada activists joined hundreds of labour and social justice allies from across Canada and the United States for the fourth annual Progress Summit, held in Ottawa from April 5 to 7. 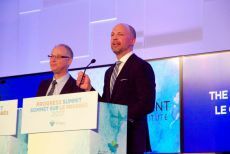 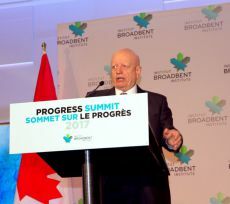 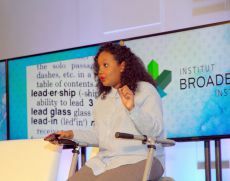 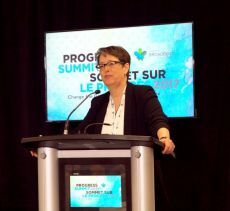 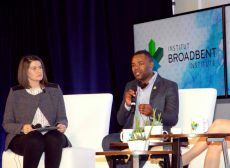 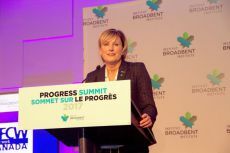 Organized by the Broadbent Institute, the Progress Summit is Canada's largest progressive policy and activism conference. 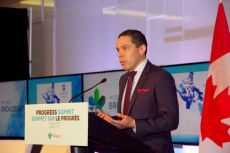 It provides an opportunity for working people and their unions to share ideas, discuss key issues facing the country, and plan next steps for achieving positive and lasting change in Canada. 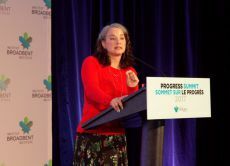 Over the course of two days, participants heard from a wide range of progressive leaders and policy experts and took in various panels and events aimed at building capacity to win struggles that are important to working and marginalized people. 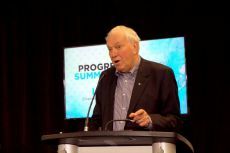 Some of the keynote speakers and presenters included Ed Broadbent, Founder and Chair of the Broadbent Institute; Nahanni Fontaine, Manitoba NDP MLA for St. John’s; Felicia Wong, President and Chief Executive Officer of the Roosevelt Institute; Mohammed Salih, London City Councilor; Armine Yalnizyan, Economist and Media Commentator; and Sarah Jama, Community Organizer for Disability Rights. 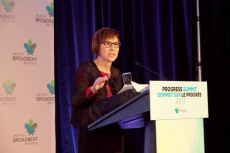 As well, Cindy Blackstock, Executive Director of the First Nations Child and Family Caring Society of Canada (FNCFCS), spoke to the Summit attendees after receiving the Jack Layton Progress Prize for her work on First Nations children’s issues. 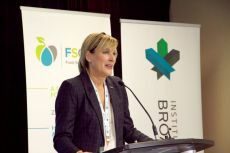 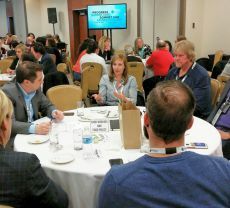 In addition, UFCW Canada Executive Assistant to the National President, Anouk Collet, addressed Summit participants at a discussion on “Engaging the Public on Food Policy,” hosted by UFCW partner and ally Food Secure Canada. 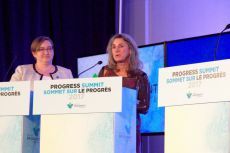 Sister Collet also introduced an evening panel on the “Global Response to the Rise of the Right,” where participants explored how progressives can effectively counter the growing prevalence of right-wing populism. 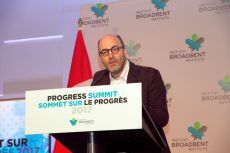 Utilizing a number of panels, debates, and question-and-answer sessions on shaping the future of Canada's progressive movement, participants examined bold new initiatives to make Canada a fair and just society for everyone, and also debated whether the federal government’s upcoming talks to renegotiate the North American Free Trade Agreement (NAFTA) can be used as an opportunity to protect and create good Canadian jobs going forward. 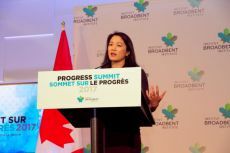 With hearings by Canada’s national inquiry into missing and murdered indigenous women set to begin soon, this year's Progress Summit also focused on embracing uncomfortable truths as a means of healing, reclamation, and strength, and featured a number of discussions on the continuing fight to obtain justice for missing and murdered indigenous women in Canada. 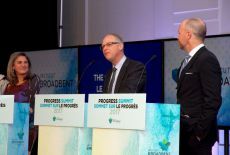 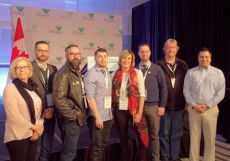 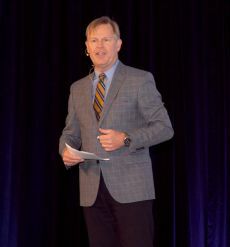 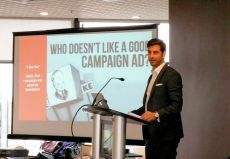 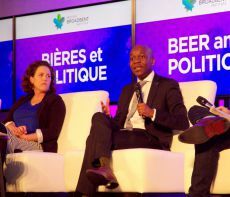 "The Broadbent Institute’s Progress Summit is an extremely useful forum for activists to debate and discuss how we can achieve a better and more inclusive country – one that provides justice, prosperity, and democracy to all citizens,” says UFCW Canada National President Paul Meinema. 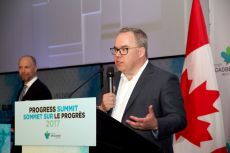 "As Canada’s leading and most progressive union, it is integral for UFCW Canada to be a part of these discussions, and that is why our participation in the Progress Summit is so important,” Brother Meinema adds.